This week we are going to pick up in Revelation 2:4 where it says, “Nevertheless I have somewhat against thee, because thou hast left thy first love.” Here is the first thing that is said negative about this early church. They had left their first love. Now, you would think that of all the churches of the seven that are described in chapters 2 and 3 that this one would be the last to leave their first love. After all, many of them may have walked with Christ or had at least been witnesses to His life. Some of them might have even seen the crucifixion and witnessed the resurrection. It’s hard to believe that they could be accused of this. The lesson for you and I today is that we can leave our first love. We can lose the zeal of it, the devotion of it, the excitement of it; if we are not careful. As a pastor, I see it all the time. I see people come to know the Lord, get plugged into the church, start faithfully attending services; and then just as quickly as they came, their gone. What happened? The answer can only be one of two things. Either they were never really “saved” from the start, or they have simply left their first love. How can you know if you’ve left your first love? It is simple. If you have ever been any closer to God than you are right now, you’ve left your first love. So, what is the cure? It’s found in the next verse where it says, “Remember therefore from whence thou art fallen, and repent, and do the first works; or else I will come unto thee quickly, and will remove thy candlestick out of his place, except thou repent.” There it is! There is a three step process for restoring your first love. I like to say it this way. To restore your first love you must remember, repent, and return. Let’s take a closer look at each step. The first step is to remember from where you have fallen. Remember when you first gave your heart to Jesus? Remember the feelings of love, joy, and peace that flooded over you? Remember getting to church an hour early just to be there? Remember thinking, "Oh, there is so much for me to learn?" The first step is to remember, and once you’ve done this, you go to step two. The second step is to repent. To repent means to feel remorse, contrition, or self-reproach for what one has done or failed to do. In short, tell God you’re sorry. Turn away from your sin. Turn away from whatever it was that caused you to leave your first love. There is a process in the Bible that we would all do well to learn in regards to repentance and forgiveness. Repentance must come before forgiveness can be given. Yes, God wants to forgive you of your sins, but you must repent of them first. We see this process in Luke 17:3-4 when Jesus said, “Take heed to yourselves: If thy brother trespass against thee, rebuke him; and if he repent, forgive him. And if he trespass against thee seven times in a day, and seven times in a day turn again to thee, saying, I repent; thou shalt forgive him.” So the process is as follows: the Lord rebukes, we remember, we repent, and he forgives. So, first you must remember. Secondly, you must repent. And thirdly, you must go back and "do the first works." In other words, do what you were doing before you left your first love. Remember? Were you going to church? Go back! Were you fellowship with brothers and sisters in the Lord? Go back! Were you praying? Go back! Were you being faithful? Go back! Go back and do what you were doing when you left your first love and you will find it right where you left it! 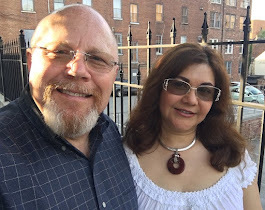 Hello, our names are Dwayne & Jannett Spearman, and we are the founders of Building Lives International and also the owners of Spearman Artisanry located in Lynchburg, VA. Our desire is to use the resources our Lord has given us to minister to others. Dwayne also serves churches in the areas of guest speaking, conferences, and revivals. If he can be of service to you or your ministry, he would love to hear from you.